People who want to lose weight commonly, and first of all, think about reducing the amount of food they eat. This may be quite a solution but not exactly the best there is. In fact, depending on the amount you reduce in your food intake, it may even be dangerous to one’s health. 5 Ways to Keep Your Metabolism Up! You're eating healthier than ever, but your muscles feel flabby, your energy is sapped and your jeans feel increasingly snug, particularly in the belly, hips and rear. The sad truth: Metabolic rate (the number of calories we burn in a day) plummets as we age, decreasing about 1 percent each year after we hit 30. But research shows there are things you can do to help combat metabolic slowdown. Continue reading 5 Ways to Keep Your Metabolism Up! 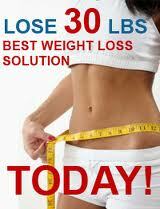 People have their own different ways in getting rid of the excess fats that they have in the shortest possible time. Now people are open with the invasive methods of weight loss to get the desired results without having to spend months on end’s for dieting and exercise. Aside from the cost, the risks involved in such strategy may compromise one’s health. Look trim at the gym: When it comes to exercising, it may be worthwhile to look the part, to work the part. The gym is certainly not a fashion show – it is no place for makeup and it is definitely not the place for sparkling jewels - anklets, charm bracelets and giant hoop earrings are a definite no-no (believe me I have seen it all). In fact the majority of people probably think “Why does it matter what I wear when I work out? I am just going to get all sweaty anyways.” Wong! Continue reading What's your workout style? Tips for boosting your energy. Do you ever feel like you have hit a brick wall during the middle of the afternoon? If you are like most women, your to do list will keep you busy way past your normal working hours: pick up the kids, go to sports with kids, cook dinner, homework with the kids, workout, house work, feel the dog, pay the bills, etc. It’s exhausting work that never seems to end!!! There are strategies that you can use to get an energy boost. Some are for an instant boost and others are more long term boosters. Continue reading Tips for boosting your energy. Understanding the inner workings of your appetite can be a lot of information to process, but I hope that comprehending what's going on in your body will help you gain greater insight into the weight-loss process. Your body has a system for minimizing weight loss (believe it or not, it also has a system minimizing gain, too), but by adopting the change set out for you in this program, you will be able to override some aspects of that system and lose the weight you need to. THE SKINNY ON SUGAR SUBSTITUTES. Sugar substitutes do help with weight loss sugar substitutes don’t help with weight loss. Sugar substitutes are harmless sugar substitutes are unhealthy. The information on sugar substitutes or, as they're often called, zero-calorie artificial sweeteners like Splenda, aspartame (Equal or NutraSweet), saccharin (Sweet 'N Low), and Acesulfame K is so conflicting that it can make your head spin.What's the truth? Continue reading THE SKINNY ON SUGAR SUBSTITUTES. Carrying around too much body fat is a nuisance. Many people fight the "battle of the bulge" through diet alone because exercise is not always convenient. Few of today's occupations require physical activity and many people spend hours behind desks and computers. In addition, much of our leisure time is spent in sedentary pursuits. To reverse this trend, it is important to adjust your attitude and find time to exercise each day. Remove More Unhealthy Foods from Your Diet. If I had asked you in the first place off this program to give up high-fat sources of protein like hamburgers, sweet like cookies and candy, and greasy snacks like potato chips, you probably could have done so without any problem for a while. But how long would you have been able to resist them? Continue reading Remove More Unhealthy Foods from Your Diet. Models know that dieting is not just about what you don't eat - there's much more to it than that. Crash dieting can work in the short run, but most sustainable diets involve small, regular meals that provide your nutrition and keep your metabolism running. Here are my Top 10 favorite snack ideas that I've developed over the years. Each one is healthy, low-fat and low-carb. Even better, they're easy to prepare and inexpensive too. Today's lesson? Snacking is OK! Juice – Herbal Supplement it is not only bracer, tasty and healthy, which is recommended to drink in the mornings and evenings. It has its own chemical composition. Water, Ranged from 75 to 90% of the volume of juice - herbal supplement, depending on their type, so their calorific value is low. That whole grains good for your intestines is known for a long time, but now they found another one more plus, scientists proved that whole grains help lose extra weight, if you eat them from childhood. The research showed that teenagers that include whole grains in their foods (not less than 100 grams a day) are more active and skinny than their friends that don’t get the same amount of grains daily. Even though that the whole grains have slow acquired curbs. They make you not be hungry and makes you stop eating more than your supposed to eat. That’s why granola bars and cereal for breakfast is much better than white bread toast with butter. In the movies you just have to buy your kid a cup of pop-corn. A secret way to lose weight! If you don’t use milk products because you think there is a lot of fat in them. Well it’s too bad for you. Over the period of 2 years scientists looked at the woman ages 18 to 31 with different physical activities, those who got the most calcium from milk products their fat got reduced, and they lost weight. Celebrities have to take good care of their bodies because their source of income depends on their physical appearance. When it comes to staying fit and gorgeous while sashaying down the red carpet, some of the latest diet tips and secrets used by the most envied people in Hollywood are not a secret if you know their diet plans.